The Virgin Galactic is Richard Branson’s attempt at bringing us commercial space flight, and it has just completed it’s first test flight. The Virgin Galactic was carried with its unique twin fuselage carrier aircraft for a test flight which lasted two hours and fifty four minutes. This is the first stage in the testing of this commercial spacecraft, it will then fly as a glider and when these tests are complete it will fly under rocket power. “The captive carry flight signifies the start of what we believe will be extremely exciting and successful spaceship flight test program,” said Burt Rutan, founder of Scaled Composites, which built the spacecraft. The test flight reached an altitude of 45,000 feet and then returned to the Mojave Air and Space port. The Virgin Galactic will need to be taken to 60,000 feet before it can fire its rockets and carry itself into space. It certainly sounds pretty exciting, although we suspect space travel for the majority of us is some way off yet. 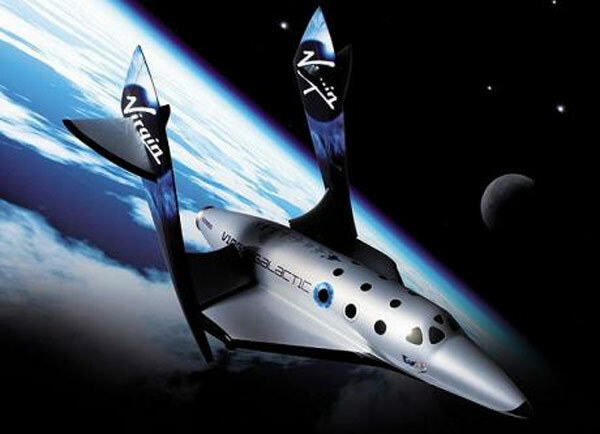 The Virgin Galactic could also be used to travel around the world as much faster speeds than commercial aircraft.